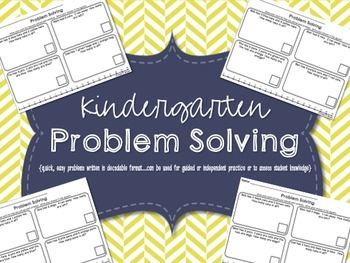 Use these simple, decodable word problems to easily guide students through the various ways to solve, or allow students to use the different problems as independent practice. With a variety of four sheets to choose from, you can even choose to use one to assess student progress. Enjoy! !